November 14, 2018, © Leeham News. : Last week we operated the future Boeing NMA from North American hubs. The aircraft would cover the North American market well but would have limitations when flying to South America. The coverage would be sensitive to where our hub would be, as would European coverage. Now we finish the series by comparing the NMA to its main alternatives for range and operational economics. Using a common ruleset and measuring over typical long range operation, the NMA will be the most economical aircraft of the compared types. June 30, 2017, ©. Leeham Co: One of the areas I explored while at Paris Air Show last week was electric aircraft technology. With electric aircraft, we mean an aircraft where the propeller/fan is driven my an electrical motor. We don’t talk about “more electrical aircraft systems” like for the Boeing 787. One of the companies investing in technology for electric aircraft is Siemens. A Siemens-engined aerobatic aircraft, the Extra 330LE, made daily flight displays during the show. Figure 1. 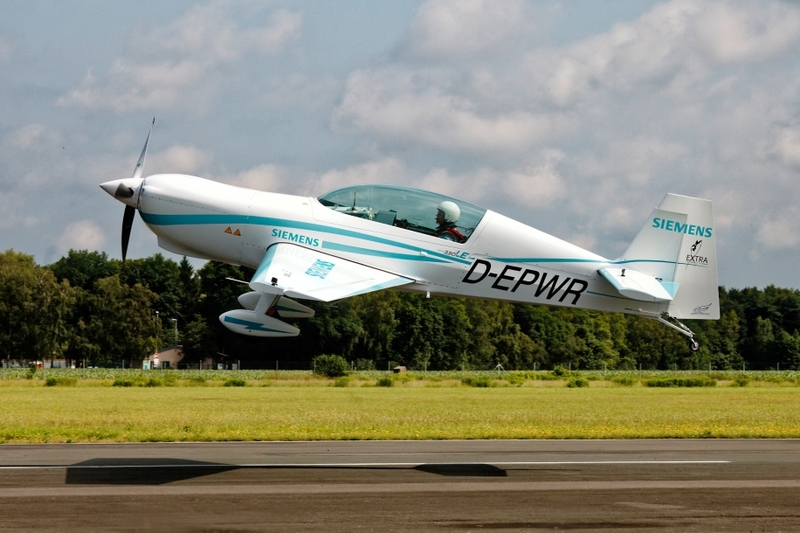 The Siemens engined Extra 330LE aerobatic aircraft. Source: Siemens. Delaney made the remarks at the Paris Air Show about developing the 737 MAX 10 and the NMA (New Medium size Airplane). Figure 1. 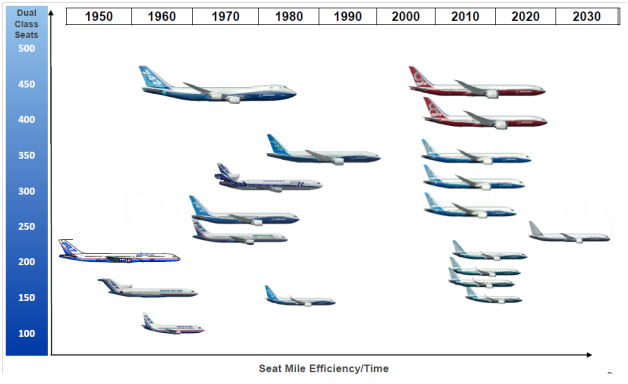 Boeing’s airliner lineup over the years. Source: Boeing. MC-21 and C919 compared. Part 3. June 15, 2017, ©. Leeham Co: We continued the comparison of Irkut’s MC-21 and COMAC’s C919 last week with an analysis of the cabins and systems. The week before, we compared project time plans, structures and aerodynamics. Now we finish with an analysis of the economics of the aircraft. 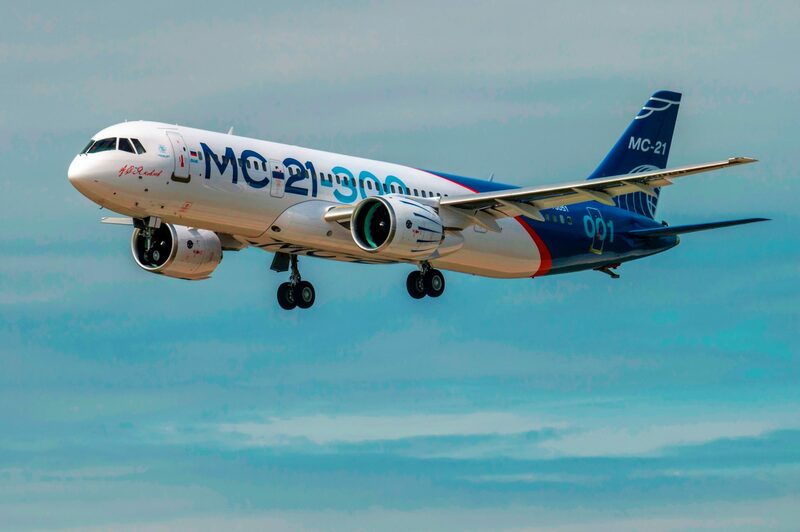 The MC-21 is the more advanced aircraft of the two. It uses carbon composites for the wings and empennage. Coupled with more refined aerodynamics, the MC-21 offers a higher efficiency than the more classical C919. April 27, 2017, © Leeham Co.: We have in several articles gone through the sizing of an NMA (New Midrange Aircraft). We looked at the fuselage, cabin, wings and engines. Now we will sum the exercises and look at the performance of the resulting aircraft. 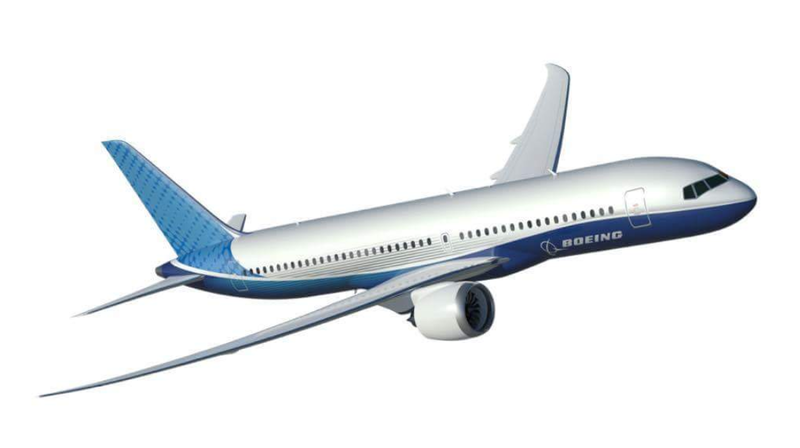 Boeing is seriously considering launching an NMA. The key to the launch decision will be the airplane’s economics: for development and production as well as operation. The idea is the NMA shall have “twin aisle comfort with single aisle economics.” We will now use or performance model to analyze if the final aircraft has these characteristics. An NMA designed to the principles in our articles will have a seven abreast dual aisle cabin. The cabin will increase passenger comfort in the 200 to 260 seat range and speed ground operations. Could an NMA be made good enough, Part 3? April 6, 2017, © Leeham Co.: After sizing the cabin of the NMA, the time has now come to size the fuselage. Can a fuselage be designed that gives an NMA “dual aisle comfort with single aisle economics”? We will investigate the dimensions, the drag and the weight of an NMA fuselage. It will be based on the cabin and design techniques we described in Part 2. We then compare the efficiency of the result with the fuselages of the Airbus A321LR and Boeing 767. This will show if the necessary efficiency can be achieved. It’s possible to design a dual aisle fuselage with the same perimeter per seat abreast as a single aisle fuselage. This will make the central, cylindrical, section have competitive weight and drag characteristics. The larger diameter of the dual aisle fuselage will increase the size of the tapered front and rear sections however. It’s still possible for an NMA fuselage to be as weight-efficient as a single aisle fuselage, measured per transported passenger. Could an NMA be made good enough, Part 2? April 3, 2017, © Leeham Co.: In the first part of our investigation on how good an NMA can be, we explored low weight and drag fuselage design. We will now continue with the design consequences for the fuselage construction and the cabin. What drives whether one goes for an Aluminum or CFRP (Carbon Fiber Reinforced Polymer) fuselage? Figure 1. 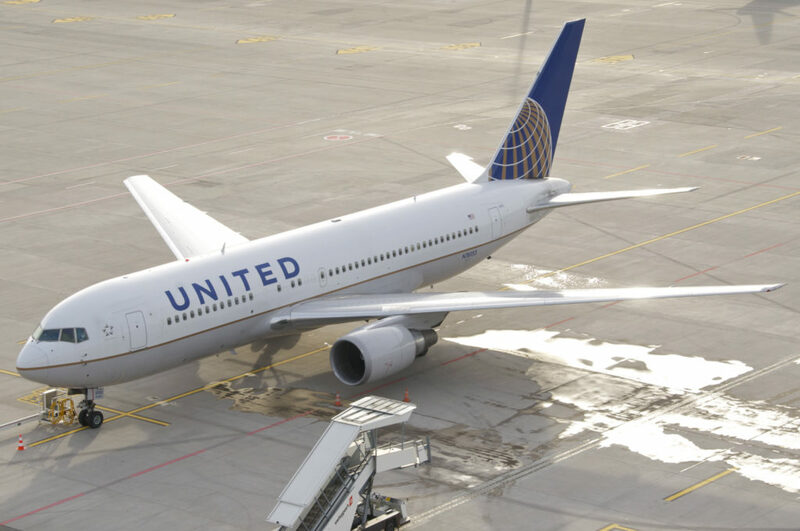 The NMA takes more and more the shape of a 767 replacement (A United 767-200 pictured). Source: United. What will be the typical dimensions for an NMA fuselage and what will be passenger capacities? An elliptical fuselage will force a CFRP design. The fuselage door configuration will be critical for cabin capacity and flexibility. December 15, 2016, ©. Leeham Co: In our article series around the engine for a Boom SST, we established the thrust requirements for the engines in Part 3. To fulfill these requirements, we have now designed four different engines. Three are of the type that Boom says it is considering, an engine that is based on an existing core. Figure 1. 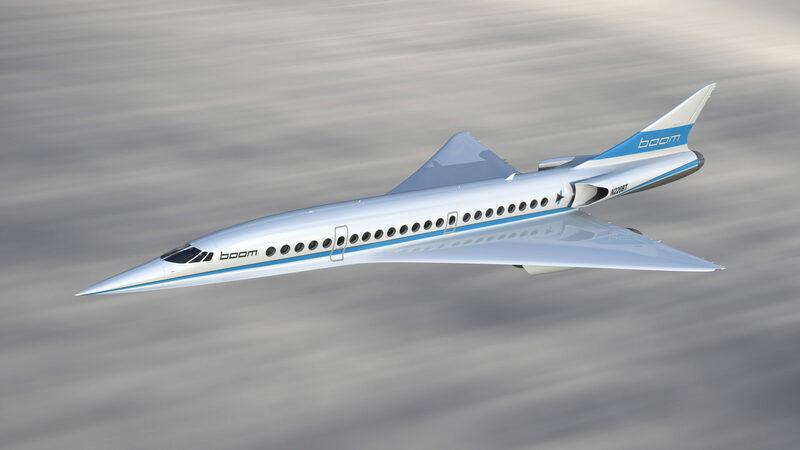 Boom Technologies Boom Mach 2.2 45 seat airliner. Source: Boom. We based these around a military core with the right characteristics for a low-to-medium bypass SST engine. The fourth engine is a custom-designed straight turbojet, very similar to the engine that propelled the only operational SST, the Concorde. We will use the reference turbojet to understand the difference to a turbofan in this application and why the selection of an engine for a SST follows different rules than for a normal airliner. Supersonic flight requires engines with low frontal areas and low mass flows. Should the engine be designed as for a normal airliner, the inlet drag would be prohibitive. The engine also must have a low pressure ratio core; otherwise the energy of the fuel is wasted on non-productive work. December 08, 2016, ©. 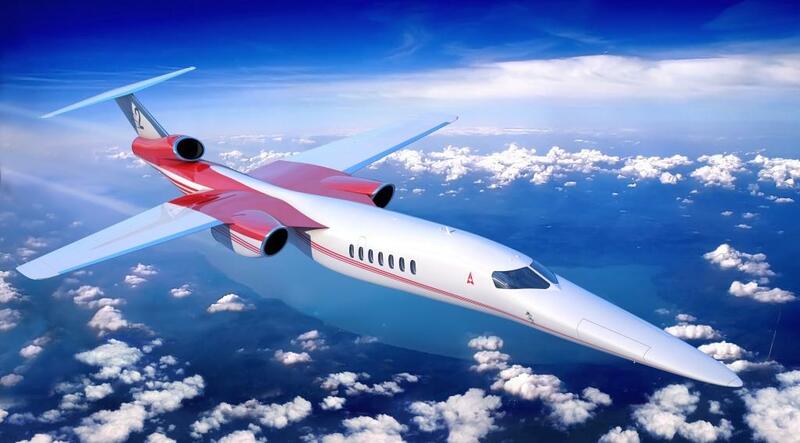 Leeham Co: Boom Technology and Virgin Atlantic plan to offer supersonic business class passenger traffic over the Atlantic. We covered the type of challenges that this poses in previous articles. The most difficult challenge is finding a suitable engine. Figure 1. Boom Technologies Boom Mach 2.2 airliner with 45 seater. Source: Boom. We described what type of engine will be required in Part 2 of the series. We will now investigate what thrust this engine must deliver at different parts of the flight envelope. How “draggy” is supersonic flight? Why did Concorde and the Tu-144 need afterburners for the acceleration to cruise speed? Supersonic drag forces slender aircraft designs to minimize supersonic drag. An SST needs to use a special climb technique to hold this and other drag factors low. Can a non-afterburning turbofan operate efficiently to master these phases and combat the supersonic drag?